Most professional societies, scientific associations, and the like that undertake to write a code of ethics do so using other codes as models but without much (practical) guidance about how to do the work. The existing literature on codes is much more concerned with content than procedure. 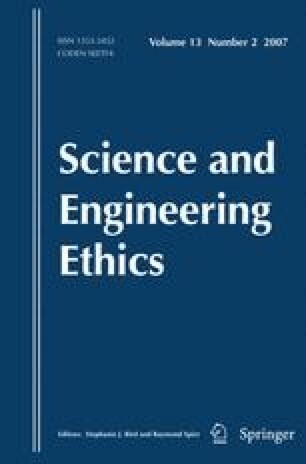 This paper adds to guidance already in the literature what I learned from participating in the writing of an important code of ethics. The guidance is given in the form of “rules” each of which is explained and (insofar as possible) justified. The emphasis is on procedure. Work on this paper was funded in part by a grant from the National Science Foundation (SES-0117471). I should like to thank the advisory board with which I worked under that grant for many helpful comments on early versions of this paper. I should also like to thank the reviewers for this journal.